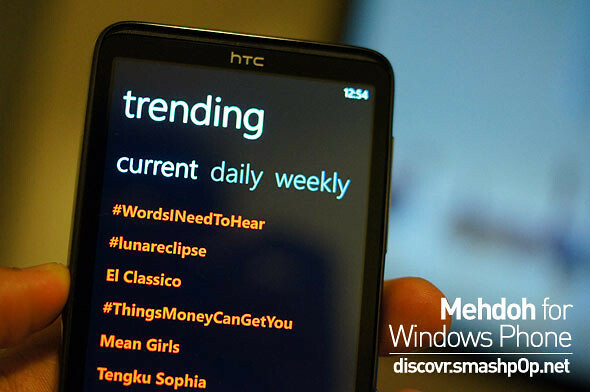 If you are new to Windows Phone, you may struggle a little trying to find out which is the best Twitter client you can use for your daily tweeting needs. Well, let me recommend you this one. It’s called ‘Mehdoh’ and I can only describe it with 1 word; AWESOME. Please view the video I recorded below to know my opinions and demo of some great features in the app. 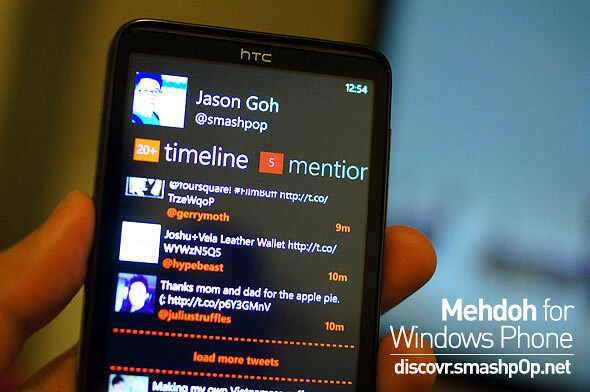 Mehdoh is a first class Twitter client packed with features and designed to take full advantage of Windows Phone 7.5 (Mango). – can run in the background to let you know when you’re mentioned or receive a direct message, updating the live tile, and popping up a toast notification. – supports Instapaper and Read It Later for offline reading. – uploads images to yfrog, TwitPic, twitvid, or img.ly. – change your profile photo directly from your phone. – view images like instagram, twitpic, yfrog, moby pictures, picplz, twitgoo within the app. Watch the video below to see all these features LIVE! 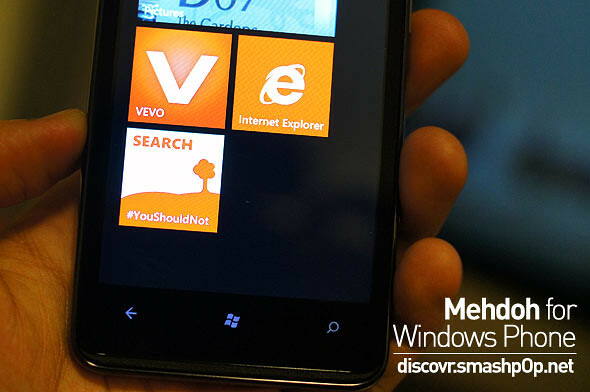 Mehdoh recommends who to follow by categories. Pinning search terms or individual users to main screen for quick access. 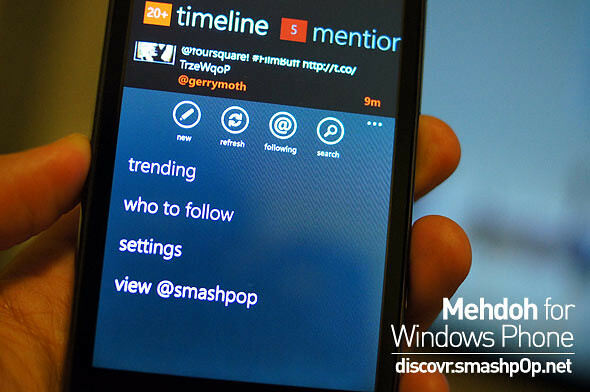 One Response to "Hands-On With Mehdoh, An Awesome Twitter Client For Windows Phone [video]"